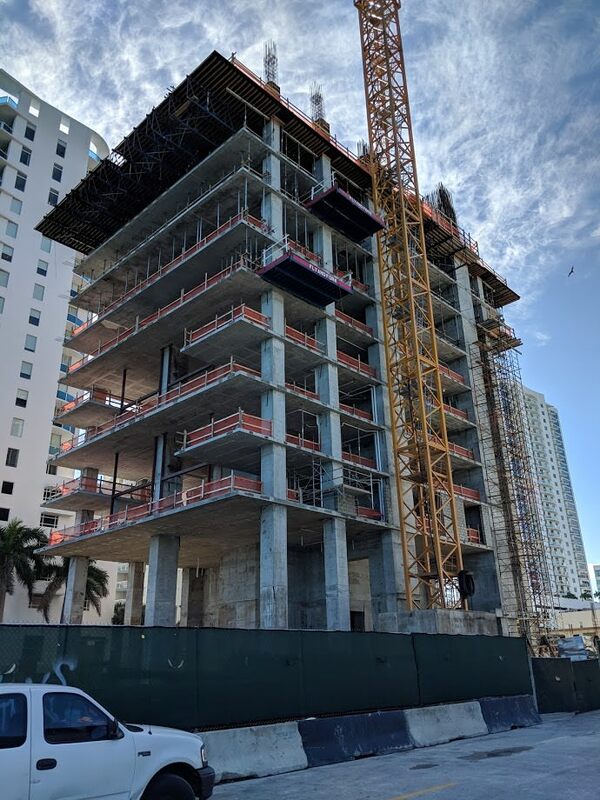 Elysee, a 57-story luxury condo, continues to go vertical. 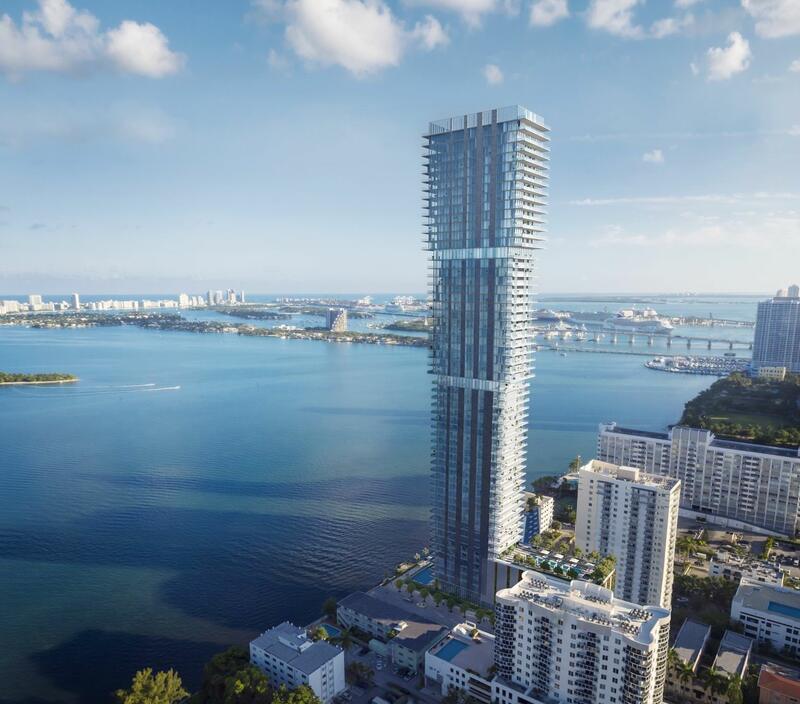 When complete, the tower will top off at 649 feet, making it the tallest in Edgwater. Pretty cool. 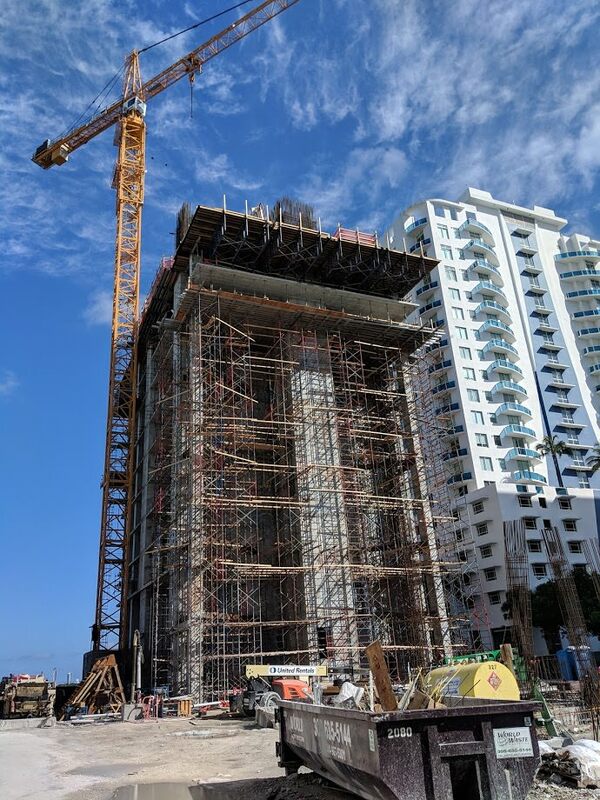 Now put 10 to 15 more 649 foot towers in a row and that Edgewater skyline would look pretty nice. Having some height variations can make for a more interesting skyline. Why does the height of these buildings have to end at 49ft? 1049ft, 649ft… so twelve more inches is supposed to be some kind of hazard to air traffic? Until she started talking smack about how much money I make. I self-identify as a 12-incher. Hope they’ve sold a few units. I wish there was a master plan for this area that addressed the street level. 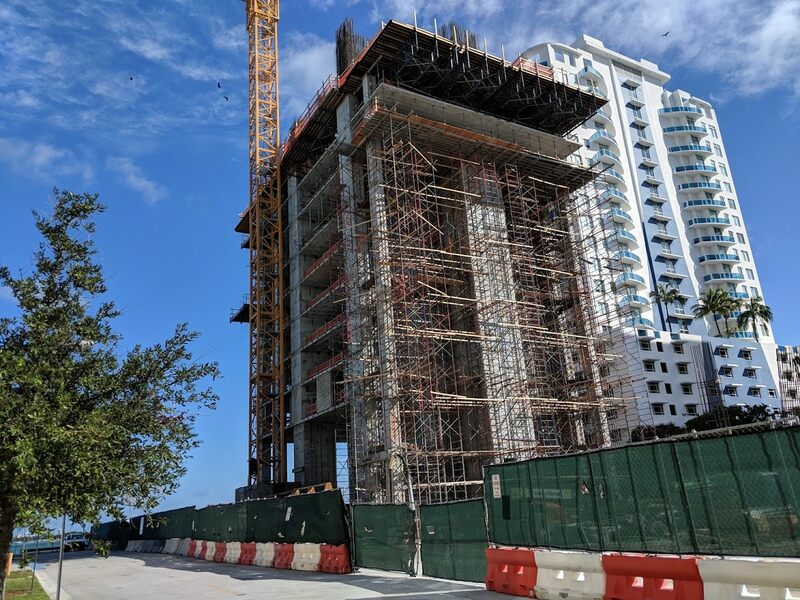 Most of these towers sit on a parking pedestal providing no more than blank walls at the street, which is deadly for promoting pedestrian activity. Whole lot of Uglytechtonica going on. It would have look better upside down, and units on the setbacks could see for a higher premium with more terrace space. It isn’t even like this building cantilevers over the bay or anything. Building was designed for maximum livable space, based on ground square footage available.. it’s obvious based on design and garage.